Barebottle has a unique approach to beer: host a brewing competition, invite the finalists to brew a batch for the tap room and ask the public to vote for their favorite. The winning homebrews are featured at the brewery along with those crafted by Barebottle’s in-house team. 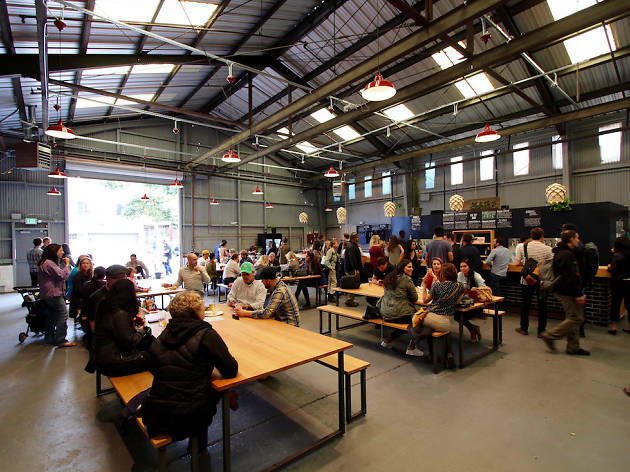 The beers on tap - ranging from endangered heritage brews to pale ales flavored with fruit - rotate regularly, as do the food trucks that pull up outside. 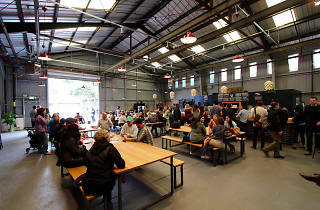 Dogs and kids are welcome at the communal tables in their giant Bernal Heights warehouse space and, if you’re interested in trying your hand at brewing, check out their regular home brewing classes.